Great shoulder bag with zipper top, 6 pockets inside and a front cell phone pocket with zipper is easy to construct. Instructions are easy to understand and fun to sew! Photos are included for each step. 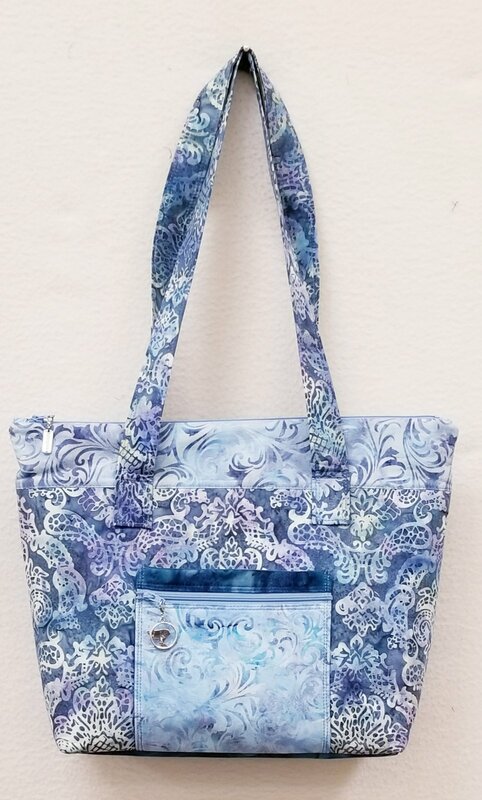 Pick 4 of your favorite fabrics and join us for 2 classes to construct this beautiful lined bag. You will be using fusible fleece and interfacing to have a stand up bag with two matching straps.